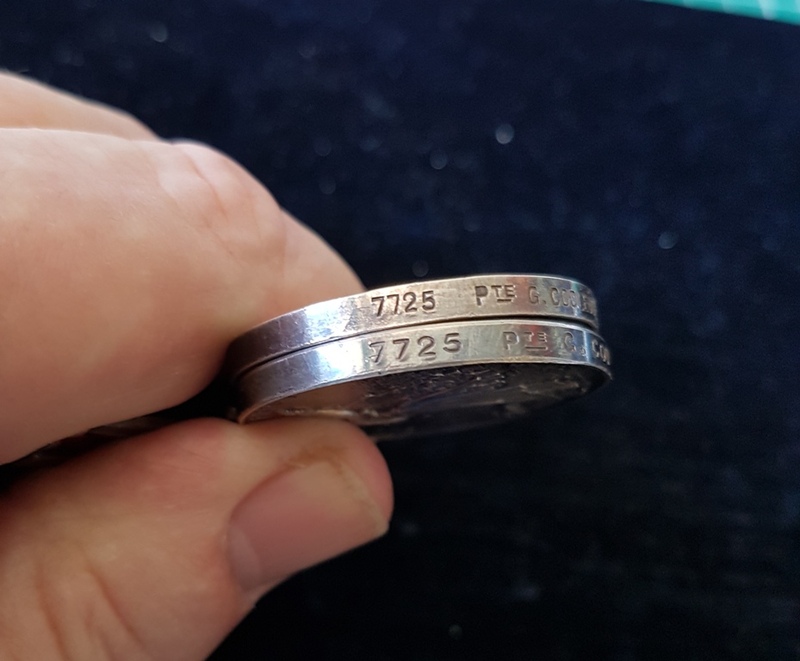 7725 PTE. 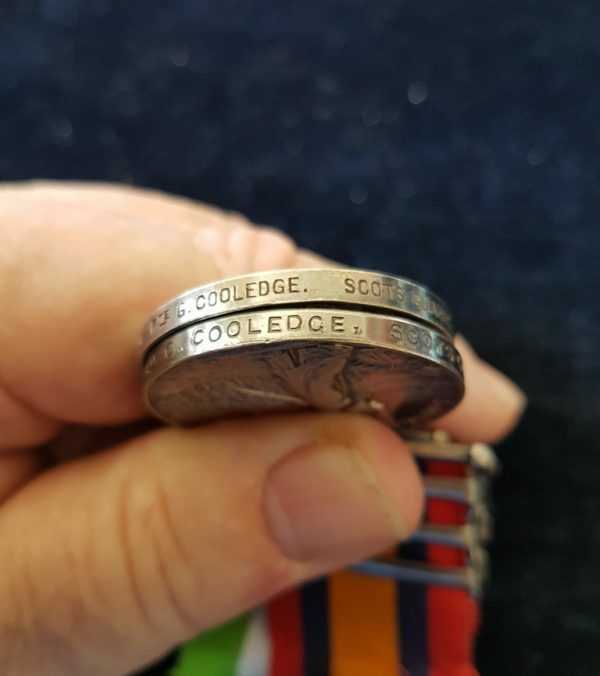 C. COOLEDGE. 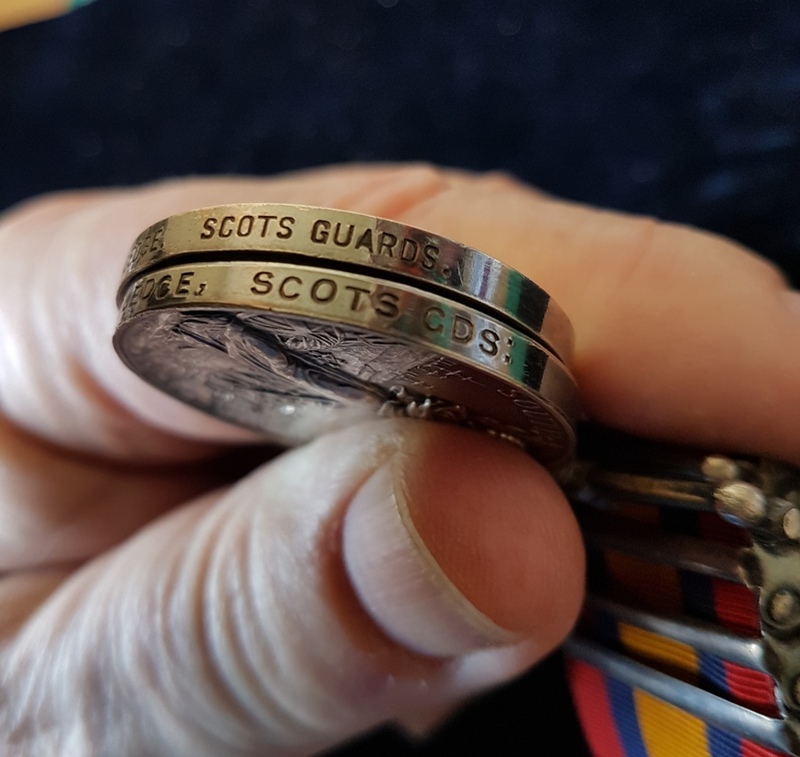 SCOTS GUARDS. 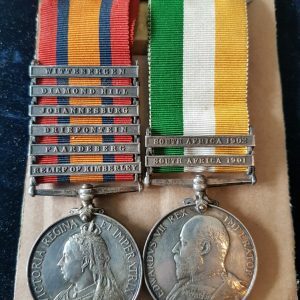 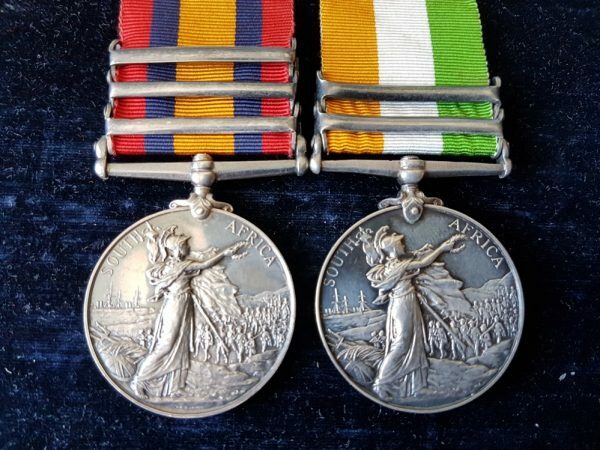 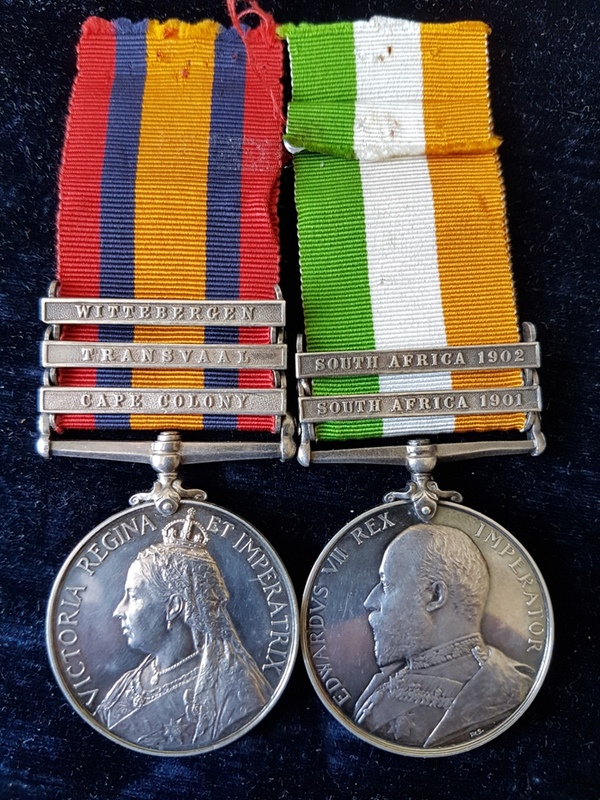 Scots Guards Anglo Boer War Medal Pair. 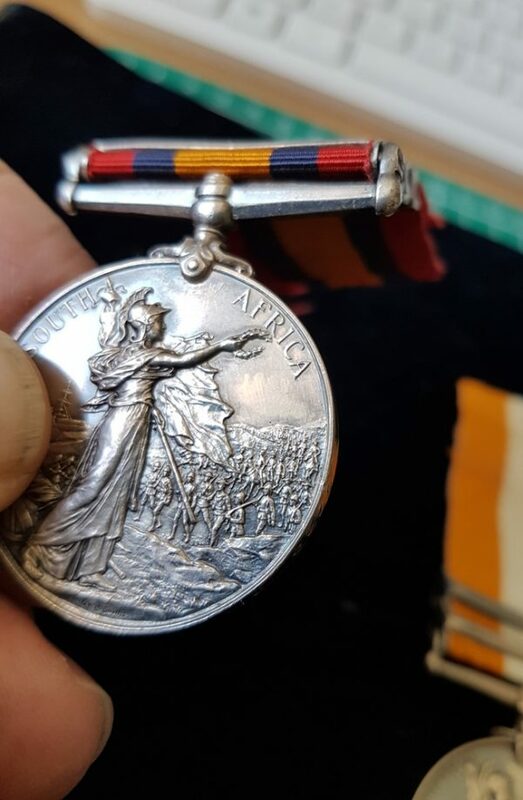 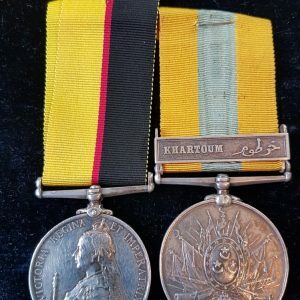 Queen’s South Africa Medal with Cape Colony Clasp, Transvaal clasp, Wittebergen clasp and King’s South Africa Medal with SA1901 and SA1902 clasps named to 7725 PTE. C. COOLEDGE. SCOTS GUARDS. 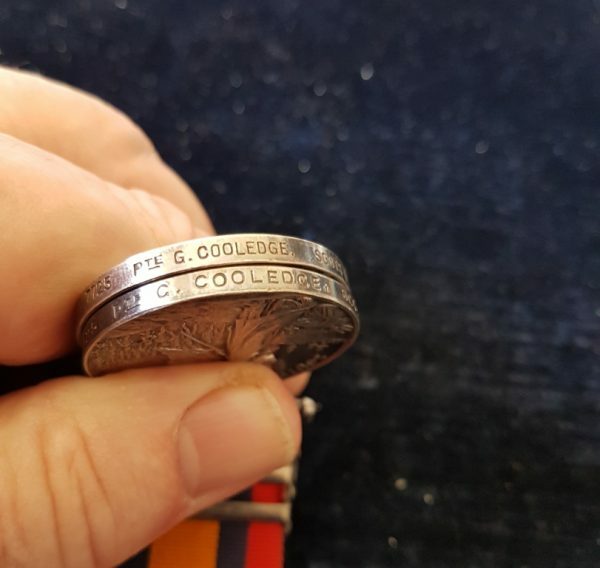 George Cooledge attested into the Scots Guards in 1887. 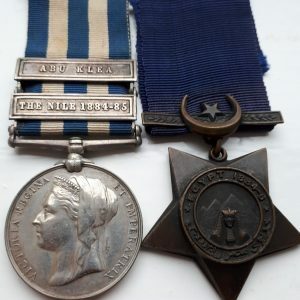 He was born in Bayford, Hertfordshire and was 19 years old when he joined. 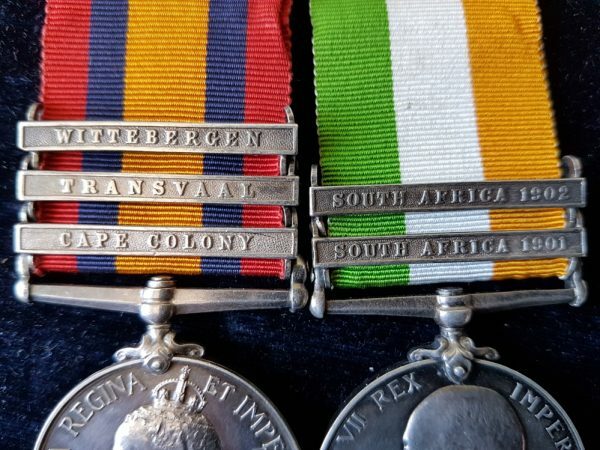 He served for 16 years and his papers confirm the award of this medal pair.